In a nameless utopian community in a future time, everything is under control. There is no war or fear of pain. There are no choices. Every person is assigned a role in the community. When Jonas turns 12 he is singled out as Receiver. He is to receive special training from The Giver. The Giver alone holds the memories of the true pains and pleasures of life-all the realities that can cause passions and upset within the community. 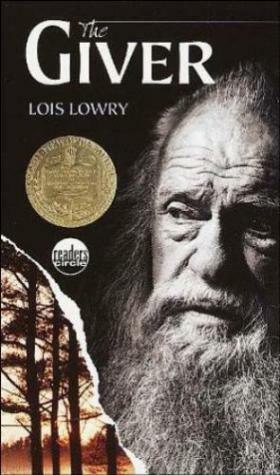 And so the Giver teaches Jonas about color, the sun, snow, mountains, love, war, death.... And the revelation overwhelms Jonas. Horrified, he plots escape to "Elsewhere," a step he hopes will return these and other, more important memories to all the people. Can he succeed? A fascinating, thoughtful, and disturbing science-fiction novel.